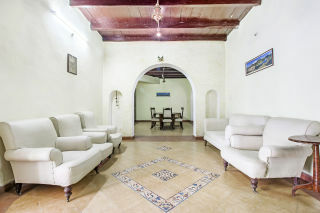 This is an offering of a private room in a bungalow, which can accommodate up to three people. 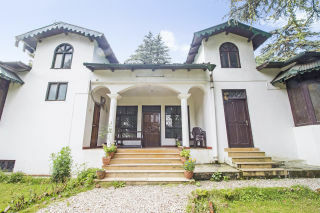 Ideal for a party of two, the property is a stone's throw away from Cave Garden (300 m) and Hawa Cave (400 m). Further, Nainital Lake is within a 2 km radius along with rock climbing spots, calling out to the adventurous nature lover in you. 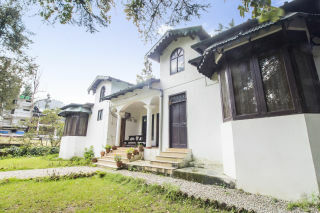 Your Space A gravel path leads you to the front of the bungalow that exudes an aura of colonial architecture as you walk your way up to the porch. The pathway is guarded by gardens that add to the aesthetics of the place. 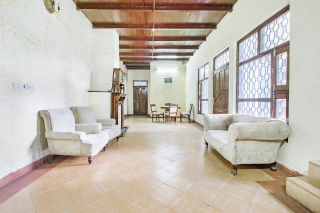 A rustic charm graces the interiors of the property, where there is a spacious sitting area, furnished with single-seater sofas resting atop diagonal tiles that perfectly contrast with the earthy feel of the wooden ceiling. This space merges into a dining area featuring an eight-seat dinette, ensuring your mealtimes are always enjoyable. The room on offer has a platform bed fit for two adults, a well-curtained alcove seating area, coffee seating, and a television set enclosed within a TV unit featuring built-in wardrobes and shelves. Also included is an en suite bathroom, fully tiled and fitted with western sanitary ware. 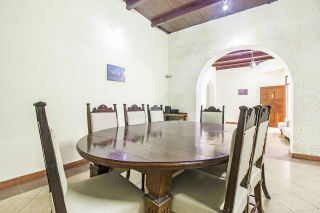 Guest access - The property houses two dining areas, which are accessible. There is a restaurant as well, so guests can savour their meals comfortably. Guest interaction - The host does not stay in the property premises. However, the services of a caretaker are provided. 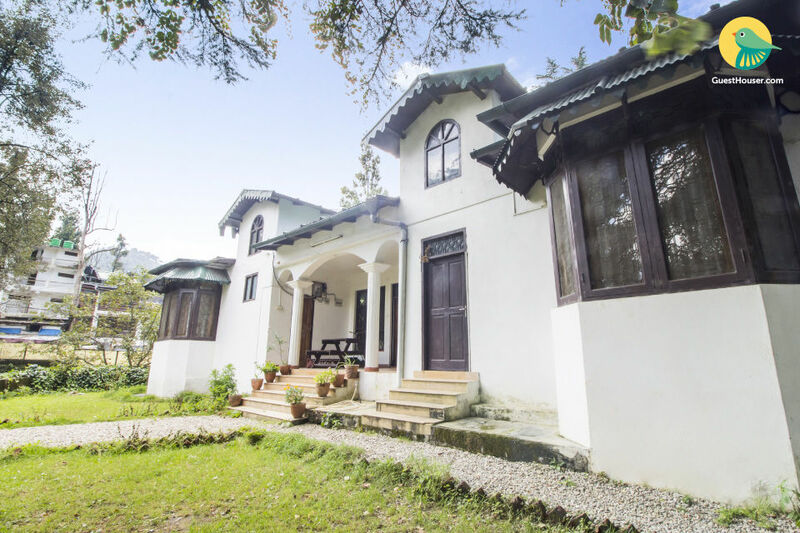 Neighbourhood overview - The property is located in a commercial area, approximately 2 km away from Nainital Lake. Other tourist attractions nearby include Cave Garden (300 m), Hawa Cave (400 m), and Bhimtal Lake (23 km). 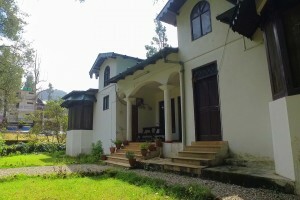 Getting around - The property is located 34.4 km away from Kathgodam Railway Station. 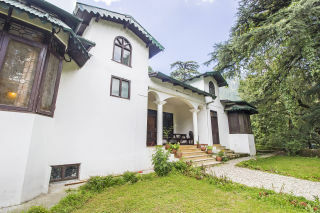 Guests can avail local cabs to reach the property conveniently. Additional information Breakfast, lunch, and dinner are provided on chargeable basis Amenities listed below are available and separately charged: Bonfire Laundry Extra beds Geyser Hot water The host does not lend his property to local residents.Families and married couples are welcome here. The host regrets any inconvenience this may cause. Please refrain from playing loud music. Our stay was nice and easufull.